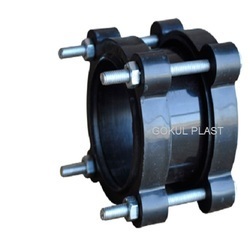 We have established as a leading manufacturer and supplier of quality assured range of D Joint We use quality assured raw material in the production process and offer these valves in customized specifications. Precisely designed, these valves are offered to clients at economical prices and within the stipulated time period. 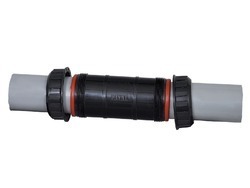 White Plastic D Joints, for PVC pipe, Size: 2" to 6"
Available Sizes: 2" to 12"
SURAJ HDPE D Joint, for HDPE PIPE FITTING, Size: 2" TO 8"